Google’s search algorithm keeps changing all the time. Even search engine experts fall behind in understanding and interpreting how it works. Last Fall, Google told us that RankBrain is now one of the three most important factors for ranking search results. It was not until recently that we heard that the other two most important factors are familiar – they are “links” and “content”. Specialists think that, in addition, Google uses more than 200 other factors to decide what to display when we search. 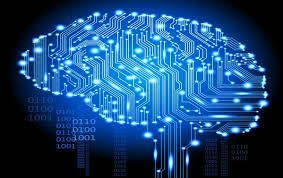 RankBrain is an AI (Artificial Intelligence), machine learning algorithm. It plays an especially important role in responding to unique (mostly, long) search strings, which constitute about 15% of all the searches. Responding with Knowledge Graph objects and Direct Answers. Google learns what content users choose to explore and adds to its “understanding” of topics and terminology. For those of us who perform advanced Google searches, it’s not that our jobs will be automated any time soon. I doubt that Google will ever be able to find matching candidates if we paste a job description into the search bar. But we need to be aware that Google tries to understand (and learn from) complex queries. We may benefit from Google’s growing semantic search capacity – as an example while we explore industry-specific terminology. On the other hand, because of the new semantic features, it’s becoming harder to control search results. Boolean operators and Google search options do help when we look for something we want to define precisely. Putting the quotation marks “” around a word will likely stop Google from bringing up synonyms. Any word used with an operator, such as inurl:, intitle:, intext:, will be used exactly as it is – Google will not show any variations or synonyms of the word in the results. When we exclude keywords using the minus -, Google removes the exact word after the minus (it will not remove any synonyms or variations). Searching Verbatim will stop any interpretation of the search string. Additionally, avoid very long search strings, not to trigger unnecessary interpretation of what you want to find. Get the recording on 300 Best Boolean Strings to hear how to best utilize both semantic and Boolean sides of Google search in your practice today and tomorrow, or purchase the Boolean Book that has syntax explanations and 300+ examples of search strings.